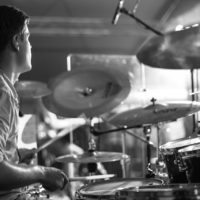 Learning to play the drums is extremely fun, but you might be surprised at how many other amazing benefits you can get from playing and mastering this instrument. Playing drums has had a massive impact on my life. It has improved my own confidence in my own ability to learn and work independently. It helped me get out of my shell and perform in front of actual people (which was certainly challenging at first). Drumming for me is a lifelong passion and something that helps me relax and think. It has opened the door for me to so many new experiences, and it provides me an income from playing and performing music live. If you are a parent, I would highly suggest you consider introducing musical instruments into your family as early as possible. In addition to it being an amazing passion, the educational and confidence-building traits of it are something that you should not ignore. I’m going to share a few really important benefits to learning this amazing instrument in a bit more detail, in addition to a great Infographic! Studies have shown that playing a musical instrument increases academic performance, including a big link between rhythm and percussion students understanding math concepts more easily. This makes a lot of sense. Even beginner drummers quickly start grasping these transferable concepts. For example, take a simple rock beat, it might have 2 kicks every bar, 2 snare hits every bar, and 4 hi-hat strokes. Even playing this simple beat will constantly cement these concepts in note frequency, and make math concepts easier and more concrete to understand. Playing a musical instrument is a great way for you to get more confidence in yourself as well as your interpersonal relationships with others. You get more confidence in your own ability as you constantly overcome obstacles and master new concepts. If you play in a group or band, it is a great way for you to get outside of your shell and develop connections with people. 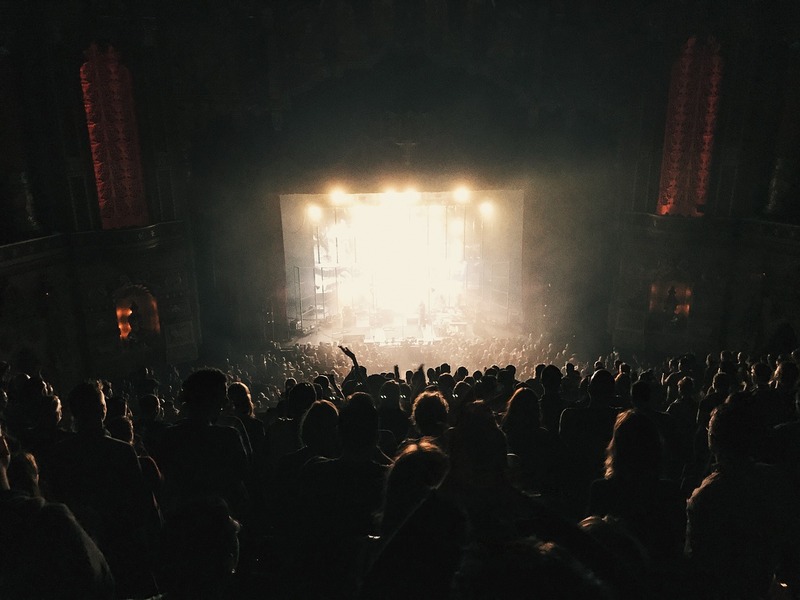 Playing music performances and gigs is an unbelievable way to improve your confidence also. It might seem a bit daunting to get up on stage. However, you slowly get more comfortable with it and it becomes extremely enjoyable. Playing music in a live setting is an amazing life experience. I have many friends that play other musical instruments. They are always surprised at how practicing drums and striving to play in time improves their ability to play their other main instrument. 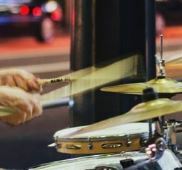 Many non-drummers approach their musical training from a completely different perspective, focusing on melodies, notes, and other techniques. They get into a different mindset when picking up a pair of drumsticks. More often than not they will retain this timing mindset when they go back to playing their main instrument. Getting into the groove while drumming is like meditation. 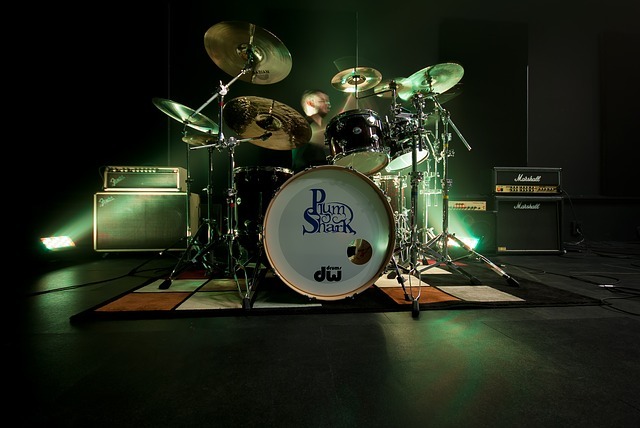 Playing the drums fast and with power acts as a workout for your body. Both of these together act as an amazing mood enhancer. You would be amazed at how great you feel after sitting behind your drum set. Obviously, you will need a bit of practice to get to this stage. Once you do, you’ll never want to leave your drumsticks down! 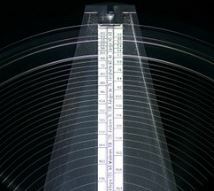 Stress Relief with drums comes with one major connotation: loudness! This does not have to be the case. Electronic drum sets offer a quiet alternative to acoustic drumming. Many modern sets do a great job of reproducing the experience of playing behind a regular drum kit. They also offer many additional benefits, such as playing sounds and samples that would be impossible with an acoustic kit. If you are interested, check out our buyer’s guide and electronic drum set reviews. Can you make money from playing music? The answer is yes. However, you need to be very dedicated and work hard. The music industry is extremely competitive. But even on a local level, you can make money from pub gigs, weddings, etc. A good drummer is generally a lot rarer to find, so it would be easy enough to get gigs. In fact, there’s a great post over at DrummerWorld about this. 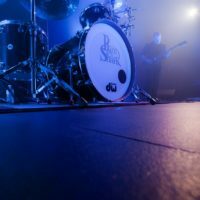 If the local pub gig scene is not your thing (and it’s not my thing either), there are other ways to make money while drumming. Once you get more experienced, you can start offering lessons locally or playing in other music production. You could also learn how to mic up your drum kit and advertise your services online for recording drum tracks. You could assemble a following online from uploading drumming videos or starting your own website. None of these methods are obvious, but there are always opportunities when you think creatively and work hard at it. There is also the most obvious but most difficult to attain method: making it big in your own band or act. It’s also not something worth banking on, but if you are talented enough, have unique and exciting music, and work extremely hard developing the right connections and getting the right experience, then you might have a chance! I do not think that you should start drums with the intention earning money. You should start it for the passion. But if you do in fact get very passionate about it, it is certainly worth thinking about it creatively. Once you have good rhythm and skill then you can pick up any different percussion instrument and give a good go at it. In order to truly understand and appreciate drumming, you need to go outside of your standard musical genres and really dig into new styles. Doing so opens you up to understand these other styles and also their cultures more deeply. For me, this has had a very true effect when traveling around the world. There’s nothing quite like going to the other side of the world and playing music with some locals by joining in using a djembe or local percussion instrument. Check out this great infographic done by the people over at takelessons.com. If you play drums, and you think there are other benefits that I have not mentioned then please write a comment below! Playing drums really opens you up to such a wide amount of benefits in your life. Playing a musical instrument can easily become a passion. Even if you decide to keep it as a hobby, it is a great release away from a hectic working world! If you would like to go the electronic drumming route then be sure to check out my electronic drum set reviews! I like that you pointed out that playing drums and other musical instruments can increase the academic performance of children because they can help to learn math concepts easily. My child has been wanting to learn to musical instruments. What I want is for him to excel academically in the future. Since I have seen him watching drum playing videos, I’ll make sure to enroll him in drum lessons soon.